Danny Boyle has left James Bond 25 over “creative differences,” according to a tweet on Tuesday from the official James Bond twitter account. The movie, which is to begin shooting in December, is slated for release on November 8, 2019. 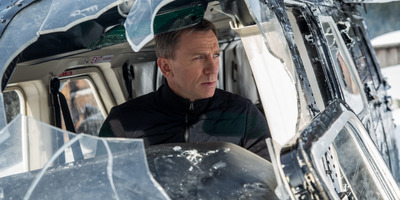 Danny Boyle will not have a James Bond movie on his filmography. The Oscar-winning director is leaving the next movie in the legendary franchise over creative differences, according to a tweet from the official James Bond account on Tuesday. “Michael G. Wilson, Barbara Broccoli and Daniel Craig today announced that due to creative differences Danny Boyle has decided to no longer direct Bond 25,” the tweet read. Boyle was previously announced as the director of the 25th movie in the 007 franchise, which will once again star Daniel Craig as the iconic secret agent. The movie, which is currently untitled, has a November 8, 2019 release date. Production is to begin on December 3 of this year. Prepare for the internet to go crazy with suggestions on who should take over the director reins. And the producers will have to hustle if they want it to make its November 2019 release date. Business Insider contacted MGM for comment but did not get an immediate response.